There are many types of boots to choose from, all of which will do the job, but some of which will cause you pain and down time. Boots will make or break you. Spend the extra dollars to ensure happy feet from day one. 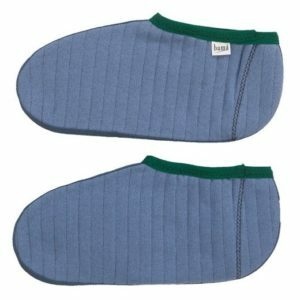 Boots should be bought bearing in mind that you will probably be wearing a heavy pair of socks along with an added insole. Definitely wear your boots before the planting season to break them in! Many employers require their planters to wear steel toe boots. Find out before you buy your boots! Leather work boots might seem like an obvious choice but they really aren’t all that well suited to treeplanting. When these boots get wet they tend to dry in a whole new shape. You can still use them but there certainly are some better options. If you don’t need a steel toe, good leather hiking boots can be the way to go. Don’t buy the trendy leather hikers; you are looking for the big, bombproof variety. This is one of the more expensive options but if you look after them they will last several years. Rubber boots are standard issue for many planters. If they are going to last they have to be heavy duty, no puddle jumpers. Rubber boots are hot, provide no support and tend to destroy feet. Buy rubber boots with enough room to wear a sock plus a Bama sock comfortably. 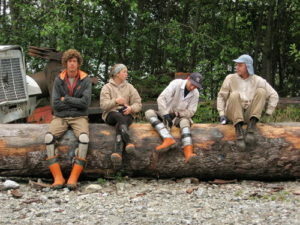 Plan to have some rubber boots for camp use; when it rains, some camps can turn into a mud-bog. Caulk boots are handy for steep/slashy terrain, but are not well suited for the fast ground. There are several varieties of boots that use caulks. 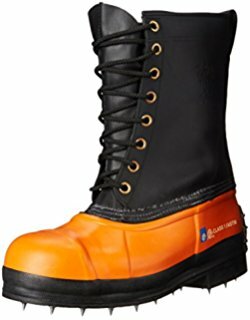 Laceless chainsaw boots are heavy duty and will slow you down due to the weight, however, it you are going to be working in tough ground your employer may recommend these orange monsters. Lace up rubber boots are relatively cheap, will more than likely last the season and prove to be a much better fit than their big brother, the orange monsters. These boots are in a class all their own. Viberg hand makes custom boots that are designed for working in the bush. 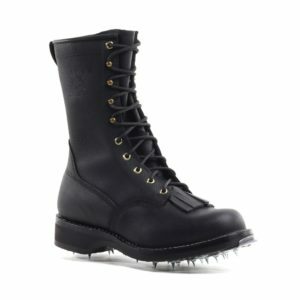 Although expensive, these boots can be a worthwhile investment for the multi-year treeplanter. Hard shelled boots, although expensive, are great for planting as they provide excellent support, comfort and water resistance when worn with gators. In really fast ground however, these are just too heavy for jogging all day up and down trenches. These quilted booties are designed to be worn over your socks, inside your boots. Bama socks have saved the feet of many planters. Bamas are very good at protecting your feet from walking in rubber boots all day. Bring 2-3 pairs – they are awesome but they don’t last forever. If you bring boots with caulks, grab a golf spike wrench to replace worn spikes. A second set of caulks will carry you through the second portion of the planting season.